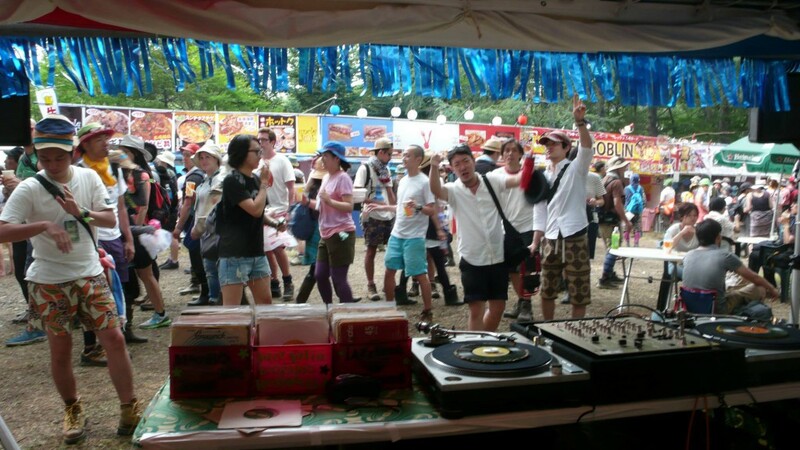 Vinyl mania has long been part of the Fuji Rock culture, including musicians, DJs, fans and the festival production team. Now that passion manifests as the Blue Galaxy Stage, an expansive circus tent powered by two turntables and a roster of DJs with truly immense collections of rare ska, reggae, world music, Japanese garage, and all manner of vinyl rarities. 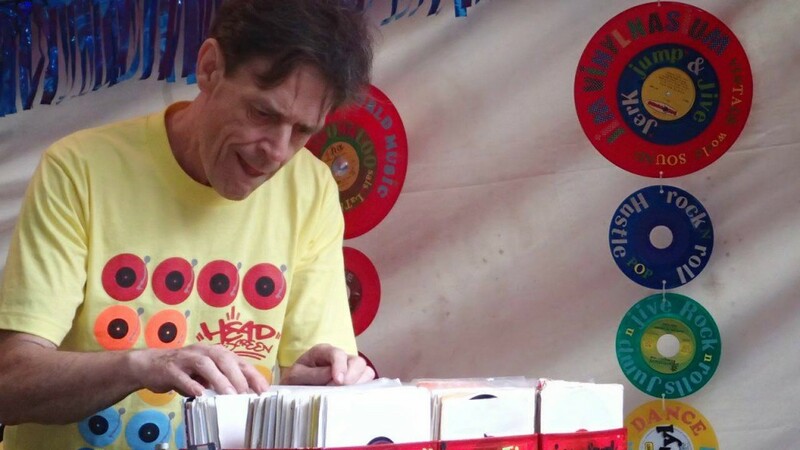 The man powering the Blue Galaxy is Jim West, a British vinyl nut who’s been coming to Fuji Rock for 20 years. He will DJ four and a half hours each evening of the festival (though only three hours on Sunday). 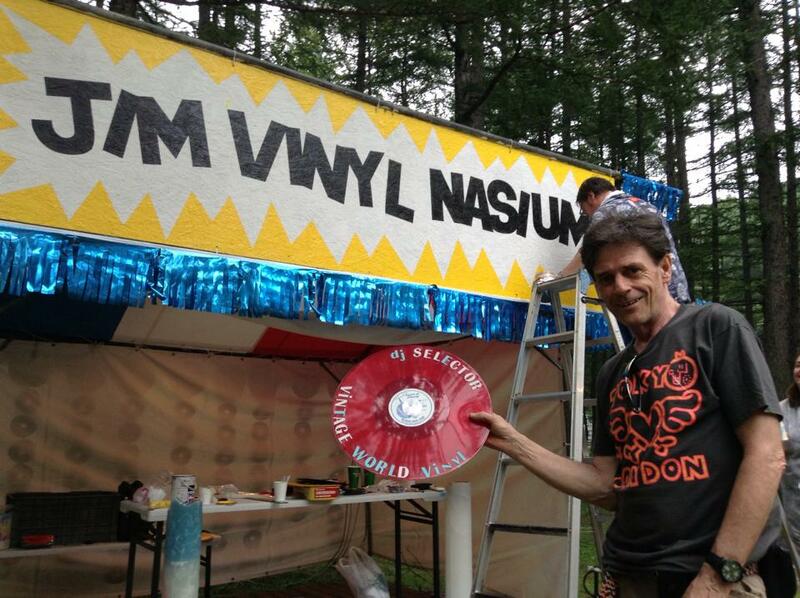 Now a full-fledged festival area, the vinyl stage is in reality Jim’s baby. 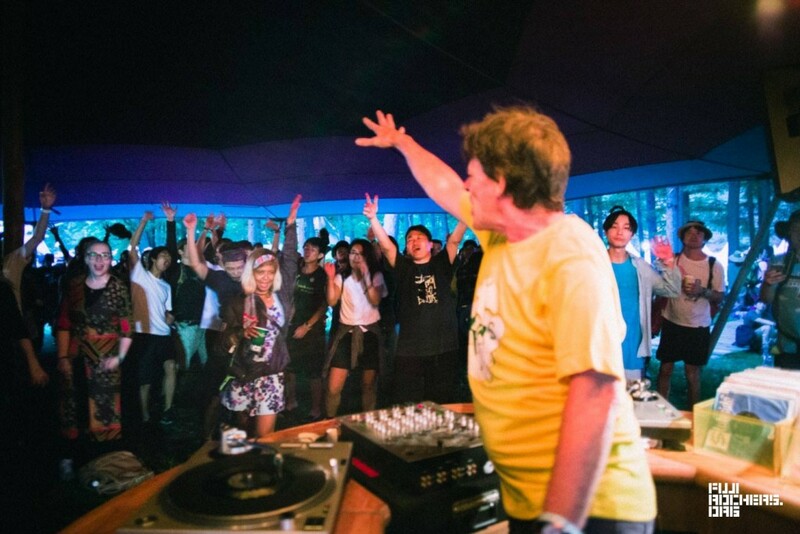 In 2011, he launched the Fuji Rock’s first vinyl-only DJ stage, Jim’s Vinyl Nasium as an experiment in the World Food Court. Over the following years, the Vinyl Nasium got better and better. 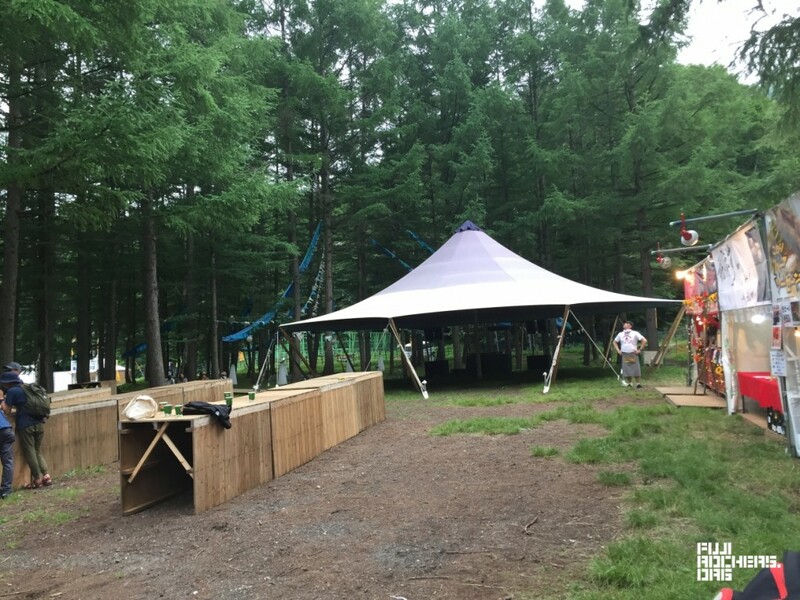 After the 2016 Fuji Rock, the organizers couldn’t help but make it into a proper area, so in 2017, they expanded it to become the Blue Galaxy Tent. This year, guest DJs will include Sim Cas, the Cumbia Kid (aka Jason Mayall), Caribbean Dandy, Astro Black (US), DZ (Basque Countries), Koichi Hanafusa (Fujirockers.org), King Nabe and the Club Ska All-Stars and several others. Yet for the meat of each evening, it will be powered by Jim West and his fellow vinyl maniac Salam Unagami. To learn more of the backstory for this unique DJ stage, we caught up with Jim for a quick Q&A interview. Q: How long have you been coming to Fuji Rock? 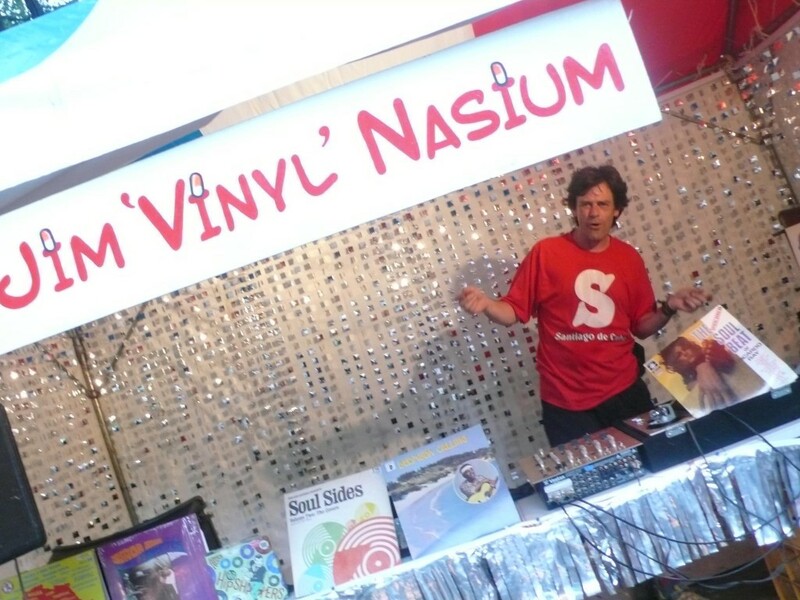 And how did Jim’s Vinyl Nasium start? Jim: My first time to Fuji Rock was in 1999 as a volunteer with the Smash London team, paying my own airfare. 20 years later I’ve grown with the festival. 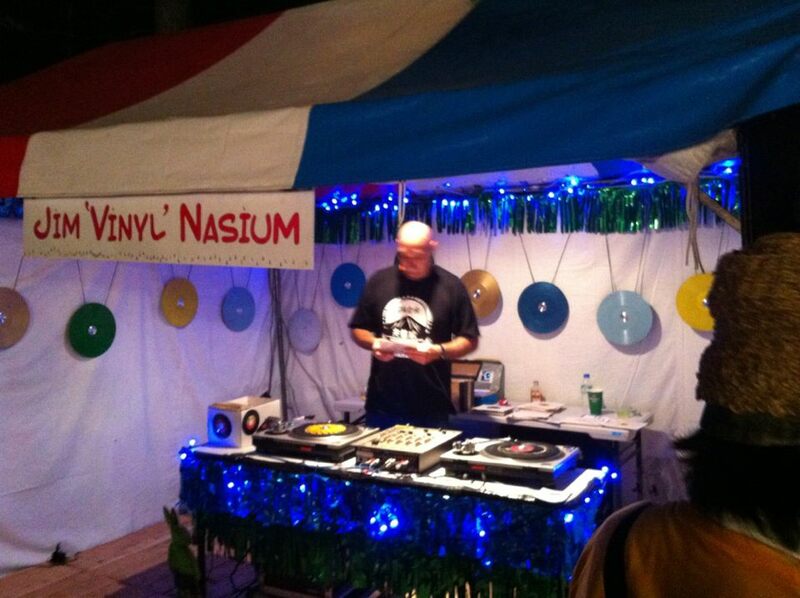 In 2011 in the World Food Court, the Jim Vinyl-Nasium began its life in a small vendors tent next to the Queen of Sheeba African restaurant, playing a wide selection of vintage and contemporary world music, assisted by a awesome selection of Djs all with eclectic and amazingly knowledgeable collections. We all had so much good fun. Q: From last year, 2017, Jim’s Vinyl Nasium expanded to become a really cool, big circus tent. This year it feels even more official as the Blue Galaxy Tent with a full, published lineup. How did that transformation happen? And what do you think of the new setup? Jim: The decision to expand Jim’s Vinyl Nasium came as a surprise and in such an amazing new circus sized tent named the Blue Galaxy. Again, another inspiring decision from the Smash boss [Masa Hideki]. This year the Blue Galaxy has become even more spectacular with a roster of talented DJs from all over the world. It’s gonna be a pleasure to be part of such an enterprise and an honor to be there. Q: Where are you from originally? And what do you do the rest of the year outside of Fuji Rock? Jim: I’m originally from London, but have spent the last 30 years split between the UK and New Zealand, traveling a lot globally, always searching for new sounds. This is perfect for me, giving me the opportunity to DJ in many many unusual venues, visit strange and exotic record shops to collect vinyl, spin and sell on to other collectors the rest of the year, when I’m not involved in FUJI ROCK. Q: What’s your favorite turntable? Jim: The Goldring Lenco direct drive (a forerunner of the iconic 1200 from Technics). I’ve been using the same pair of 1200s since 1987, reliable and they sound great. Q: What’s the pride of your record collection, or in other words your rarest or most valuable vinyl record? Do you ever spin that disc at your gigs? Jim: The pride of my collection. Um, tricky one, that. I have a constantly changing fav. My current best LP is a Nigerian ’70s artists called Dr. Slewfoot, a fusion of heavy rock and psychedelic Nigerian funk. It’s a mind-blowing experience, and yes, I would spin it in a set. Q: What are you going to play during your DJ sets this year? Jim: Honestly, that’s a tricky one. I will blend a variety of global goodies from as far back as the 1940s right up to contemporary sounds. I never known until the first tune is playing what follows. I never play the same tune twice in the same set, and I try to tell a story through my selections. Q: When you first came to Japan, did you meet anyone with record collections that really knocked you out? Who are some of your favorite Japanese DJs? Jim: Japanese collectors have inspired me to explore more music. I personally think the Japanese music fan are among the most knowledgeable fanatics I’ve seen. They are constantly astounding me with their afficcinado knowledge and passion. I don’t single out any DJs. They all constantly teach me new sounds. Respect to to all of you! Q: Do you find anything special or unique about the culture of record collecting in Japan? Jim: Hell yeah! The passion and determination! They collect their desires. An inspiring bunch like I’ve never seen. Fanatics, wonderful fanatics! Q: Lately the media is reporting a big comeback from vinyl, saying it’s the only growing segment of physical music sales, that production can’t keep pace with demand, and so on. Do you think this is a real comeback? And how far will it go? Jim: Yes, it’s astonishing the revival in vinyl. Hopefully the renewed passion for the turntable will continue. How long will this last? Hopefully a long time. I think you will always cherish an album. I can’t see fans cherishing a download. Q: Any last word to your fellow Fuji Rockers? Jim: Rock everybody! Rock! It’s in you, so fear not letting it out. Dance your troubles away. My final word to you Fujirockers: C U There! 2012: Guest DJ set by Big Willie. 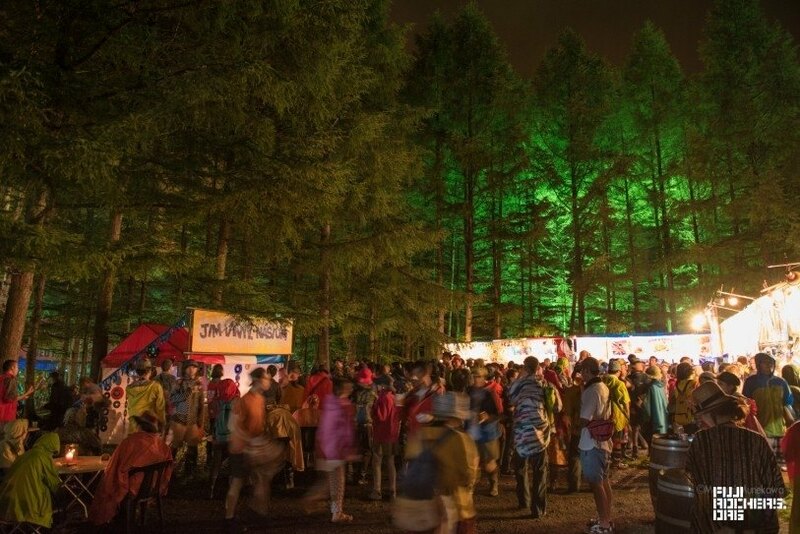 2014: Jim’s view of Fuji Rock. 2016: Jim Vinyl Nasium’s position in the World Food Court. 2017: The brand new Blue Galaxy Tent replaces Jim Vinyl Nasium. 2017: Jim West rocks the house! Copyright © 2000-2019 SMASH Corporation.